While traditional prisons have served a vital role in our criminal justice system, they have become overcrowded, costly, and often ineffective at meeting their goals. But what if an alternative was possible? Imagine a virtual incarceration system that integrates advanced risk modeling, smart mobile technology, behavioral economics principles, and geospatial analytics to create a new ecosystem of monitoring and support. By combining these cutting-edge technologies and trends, it is possible to scale the best elements of existing alternatives to achieve superior outcomes for lower costs. 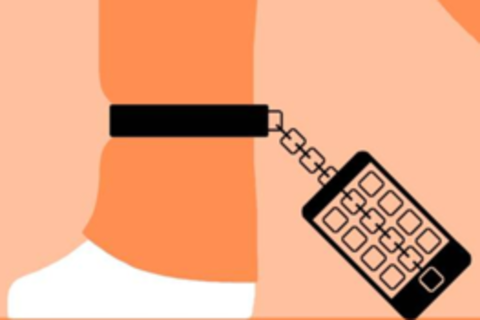 "Breaking out of Prison" paints a bold new vision for how this virtual system would look, feel, and operate from a variety of perspectives - a judge using predictive analytics to make sentencing decisions; an inmate navigating pro-social behavior apps on his smartphone; a case manager using social networks and location-based platforms to monitor offenders; and ultimately, all of society. Alan’s work focuses primarily on strategic planning, with an emphasis on helping clients envision how emerging tools and approaches can transform their operations and infuse innovation into their culture. A skilled facilitator, public speaker, and entrepreneur, Alan is a core team member supporting Deloitte’s federal innovation offering. He has published papers on topics ranging from Augmented Reality to re-imagining the US prison system, and has presented at a number of high-profile events around the country. Before joining Deloitte, Alan worked as a federal lobbyist on behalf of national non-profit organizations in the field of education, where he helped to launch a school improvement services practice that currently supports over a dozen schools across the United States. A San Antonio, Texas native, Alan graduated from Duke University with a B.A. in Psychology in 2005, and a Master’s of Science in Public Policy and Management from Carnegie Melon in 2007. He is an alumnus of Deloitte’s GovLab Fellows Program, the Coro Fellowship in Public Affairs, the Education Policy Fellowship Program, and the Funded Founders Institute for Entrepreneurship. Carmen is a Recovering Fed (recoveringfed.com) and a Rebel at Work (rebelsatwork.com) She retired in 2010 from a 32-year career at CIA. Today she cares about making sense of a quickly-evolving world, helping Rebels at Work, understanding meaning in a connected world, and "Yoda-ing" GovLab fellows. John M. Vanyur, Ph.D. is the owner of John M. Vanyur Consulting Services which provides expertise and training in correctional and detention management. The company’s clients include a number of federal and state government agencies and private sector companies in the correctional arena. Prior to this he was the Senior Director of Federal Customer Relations for Management & Training Corporation (MTC), the third largest private provider of adult detention and prison beds. Before his position at MTC, Dr. Vanyur had a 27 year career with the Federal Bureau of Prisons (BOP) where he held a variety of leadership positions. His last position with the BOP was as the Assistant Director of the Correctional Programs Division, overseeing inmate programming, case management, security, intelligence, transportation, community corrections, mental healthcare, and religious services for the largest correctional system in the nation. His also served as the BOP’s Human Resource Director, Warden of the Federal Detention Center in Philadelphia, PA, Warden of the Butner, NC correctional institution and Associate Warden of the most secure prison in the U.S. in Florence, Colorado. He holds a doctorate in Psychology from the University of Maryland, is an elected fellow of the National Academy of Public Administration, and is on the Board of Directors of the non-profit Prisoner Visitation and Support. He has published over a dozen articles and book chapters on correctional management and received numerous awards during his government career including the Attorney General’s Award for Distinguished Service and the Presidential Rank Award for Meritorious Service. In 2004, he was named by Corrections Today magazine as one of the “Best in the Business”. Kara's work focuses on the intersection of strategy and innovation. She is an alumna of Deloitte's public sector innovation and development program called GovLab. During her GovLab fellowship, Kara completed research projects about new models of incarceration and a problem-solving strategy called positive deviance. She has been with the firm since 2009, primarily serving law enforcement clients in the Department of Justice. She led the United States Marshals Service inaugural Innovation Quest, a crowdsourcing initiative to improve mission operations for deputies in the field. She is now supporting clients at the U.S. Postal Service with innovation and strategy initiatives. Originally from Colorado, Kara attended Bates College where she attained her B.A. in Sociology in 2006.